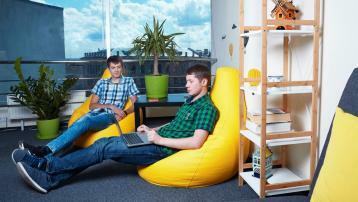 Home Blog Ukraine How to Hire Offshore .NET Development Team in Ukraine. What to Look for in .NET Developers? .NET has allowed thousands of businesses to create a wide range of complex and powerful applications. Considering that .NET is one of the most popular frameworks among software developers, you could think that it would be no problem at all to hire a professional with .NET skills, especially with the vast pool of offshore .NET developers available today. However, .NET is quite a nuanced platform, which can make identifying the right qualities in a candidate quite challenging. Here are some of the most important things to look out for when you need to hire a .NET developer. C# and VB.NET are specifically designed to work with the .NET framework, so it goes without saying that any .NET developer worth their salt should have a confident grasp of at least one of these languages. Customized .NET tools can add a lot to your application, making it more secure and interactive, and improving functionality. An ideal in-house or offshore .NET developer needs to be well-versed in using these tools and integrating them into applications. A good .NET developer will also be able to use specific tools designed for application testing and security. Good refactoring skills are always handy. However, if the .NET developer you’re planning to hire will be working on an existing application, the ability to refactor code is an absolute must, as your code may need improvement and restructuring. Depending on your product, you may want to hire a local or offshore .NET developer who has already worked on similar software, or is at least familiar with your industry and its demands. Stay away from “universal” .NET engineers, some of whom will swear blind that they’ve worked on everything, everywhere. While a developer may have a varied resume that includes projects in a wide range of different industries, it’s highly unlikely that they’ll understand the specifics of any particular field well enough to be considered experts. If you’re having a hard time finding quality .NET specialists locally, you may have already considered offshore .NET development. 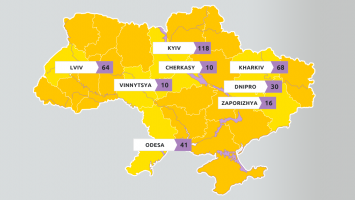 How about hiring in Ukraine? The country has the fourth largest pool of .NET engineers in the world, and with Daxx, you can tap right into it. If you tell us about your business and specify your requirements, we’ll do our best to match you with candidates that are a perfect fit for your needs. After this, you can personally interview and approve the best candidates for your offshore .NET development team. The .NET engineers you hire with us then become your full-time employees. This means that you can manage them directly while we take care of office space, equipment, support staff, HR, team retention, payroll, and taxes. Whether you need just one offshore .NET developer or a large development team, we’re happy to help. Send us a message using the form below.